Give a Mississippi River tour! 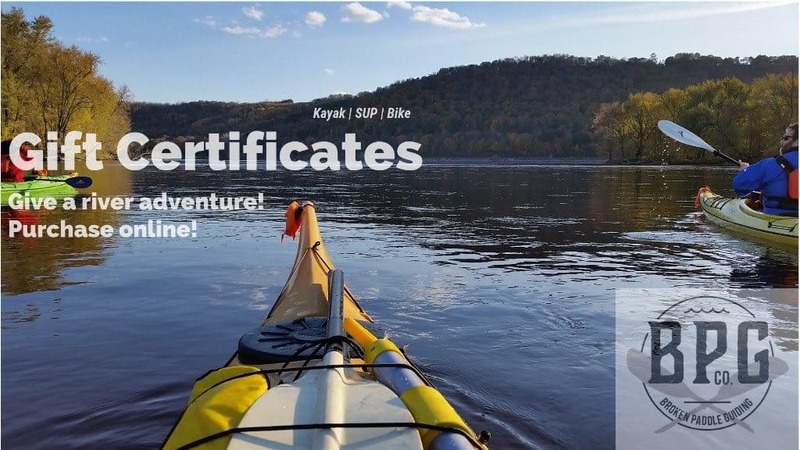 Share an amazing experience on the Mighty Mississippi with a Broken Paddle Gift Certificate! There’s nothing better than the gift of an adventure – we look forward to paddling with you, your family, friends, and loved ones! Give us a call at 651-955-5222 with any questions!